This is my first big overseas trip! I will be spending about a week backpacking across western Europe at the end of March. You can look at my goals for this trip and itinerary here. For this trip, I am trying to be as frugal and minimal as possible but I still want to bring a pretty full featured set of gear. I will be spending lots of time on trains and planes and visiting lots of touristy spots for sweet selfies. This trip is also a sort of test run for the digital nomad lifestyle. I am planning to try to write some code and work on things like that to see if I like the feel of the lifestyle before really committing to it. This will be a solo trip. I am going alone and bringing just one small bag. I have spent a lot of time observing online communities around this type of trip, like Onebag, Digital Nomad, and SoloTravel. A lot of people go with very expensive and complex options for the gear and especially the backpacks they choose. I wanted to take a decidedly different route. When something that costs $25 dollars works just as well as something that costs hundreds of dollars, I don’t see the point in spending more. I expect that’s probably naivete, and that I’ll likely revisit this topic after the trip. 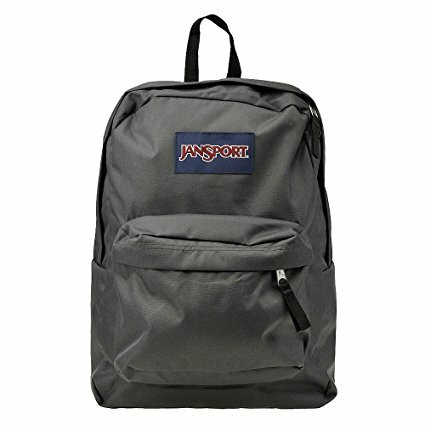 I ordered a simple grey Jansport backpack. I think there is something romantic about this particular backpack. It’s probably the world’s most common and popular backpack and yet it’s very sturdy and has excellent build quality. The zippers in particular are surprisingly good and I expect no backpack problems on this trip or many more to come. I also got a TSA approved lock for the zippers. Hopefully this is unnecessary but I’m not willing to risk it since this is my first big overseas trip. 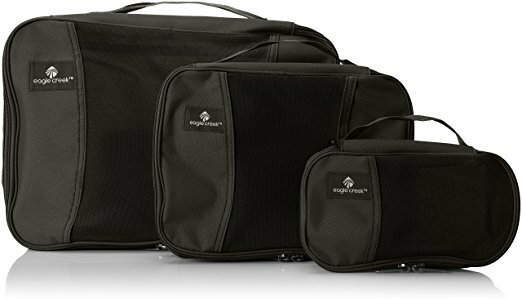 I also picked up the widely recommended Eagle Creek Pack-It Cube Set. These should make it easy to keep my bag organized and tidy. Also, putting everything in cubes means that if someone tries prying the zippers apart, it will still be hard to get anything out through the opening in the lock. I got a GoPro Hero 5 Black at REI especially for this trip. REI has a one-year no questions asked return policy in case I don’t like it. I compared it with the newer version, the 6, but no one could tell me how they are different aside from higher 4k frame rates (30 vs 60). This one is a hundred dollars cheaper than the new one so it seemed like a no brainer. I also picked up a tiny multiple Go-Pro battery charger which comes with two extra batteries and a small protective case for all the camera gear which comes with some extra accessories like a diving enclosure. This is a major priority which I am very anxious about. I picked up a universal power adapter which works all over the world and has four handy usb ports! 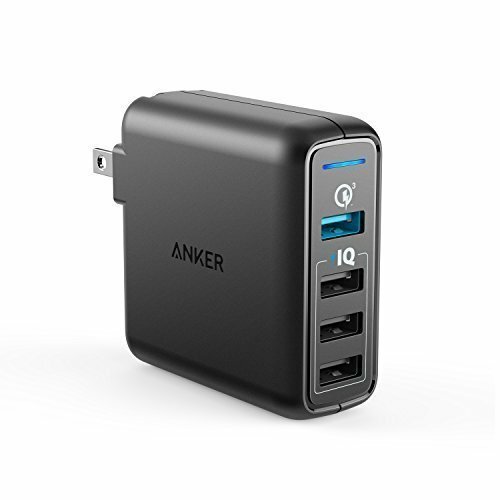 This pairs perfectly with my Anker charger which gives me Quick Charge 3.0 (For my phone) along with several of Anker’s IQ ports. These put out over 40 watts to charge all my devices at once! I have really shopped around and this is the best charger I’ve found. 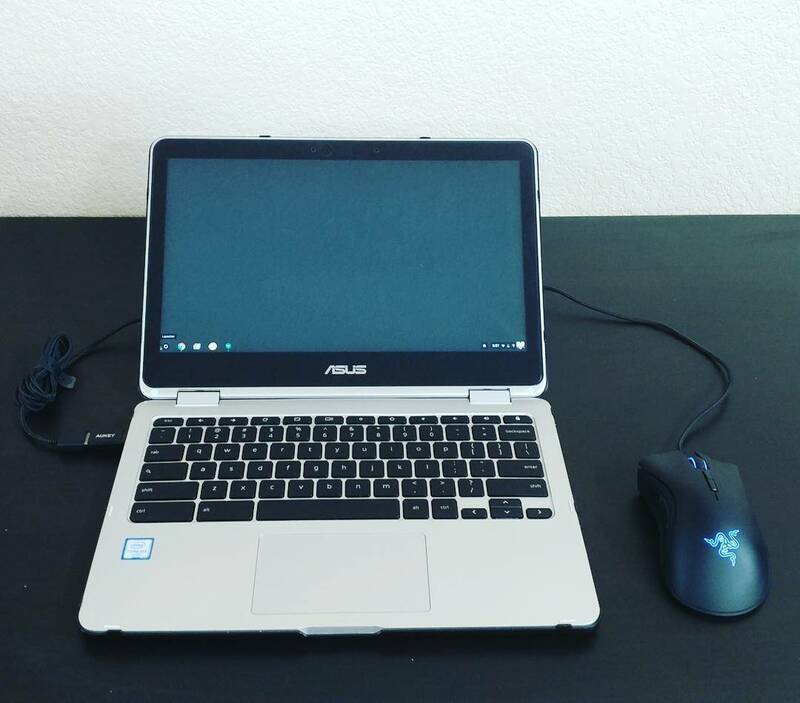 I’m bringing my Asus C302CA Chromebook. This is a really great laptop which can run any Android or Chrome apps and of course access the web and any web apps. At just 12.5 inches and 2.65 pounds, it’s a tiny but powerful machine with 4gb ram and a 64gb ssd. Typically I get about 12 hours of battery life on a charge. 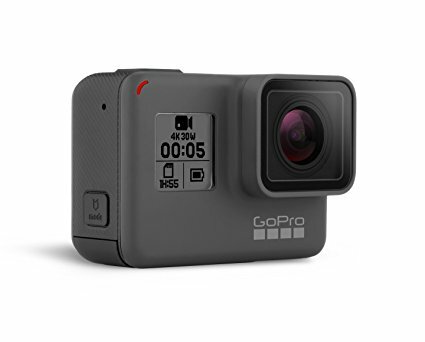 This makes it easy to upload pics and videos from my GoPro to Google Photos and to edit them with something like Pixler before posting them to social media. The Asus C302CA Chromebook also charges from USB-C so it can use the same single charger which will power my other devices! I already enjoy using this machine for work so I think I will really like this part of the digital nomad experience during my trip. 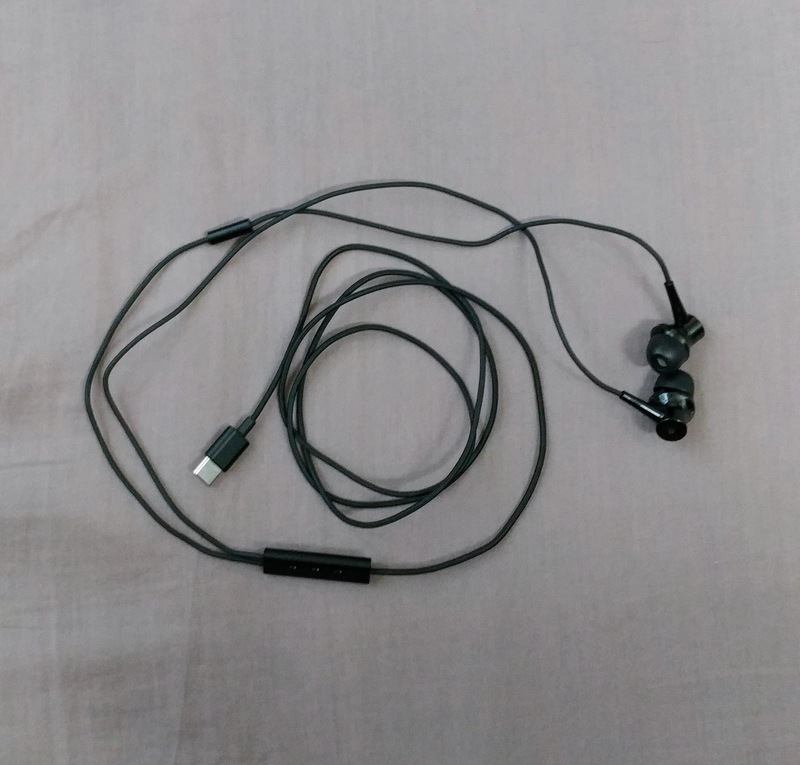 I am bringing a pair of Xiaomi Mi ANC earbuds. These are USB-C so they work with my phone or laptop, and they feature REALLY great active noise cancelling. (Sometimes I put them in and just listen to the silence. They are better than earplugs.) I will have a lot of hours to kill in transit during this trip, so these will help me eat through my favorite audiobooks and podcasts in silent comfort. I will be in a wide range of climates from Oslo to Barcelona with temperatures ranging from the low 30s to the 70s (according to historical averages) so I also ordered a large ultralight rain poncho which can cover the backpack and folds up very small when it is not needed. I will check weather forecasts before my trip and then I may or may not bring this. I plan to do laundry halfway through the trip, so three sets of packed shirts, socks and underwear along with the pants, hoodie, and clothes I will wear on the plane complete the wardrobe. I am new to this, it’s my first time. I would love feedback on things I may not have considered or mistakes I may be making. Thanks in advance!